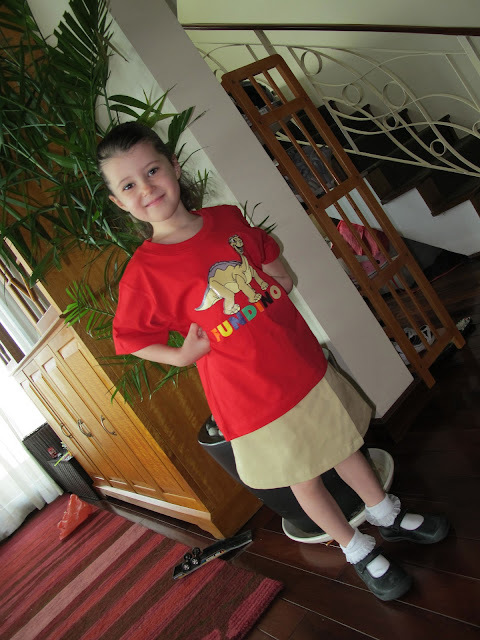 It was a long school break, over 9 weeks, but we survived and the kids are back at school this week. 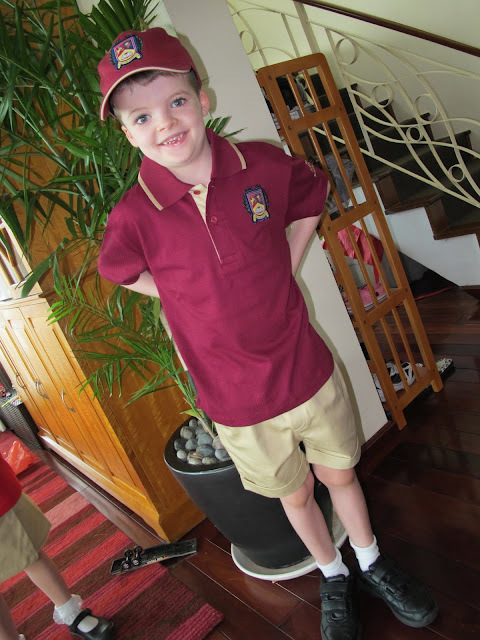 Quiddy looks so grown up in his new year one uniform. He lost a second tooth today and it is firmly shoved under his pillow as I type. The tooth fairy paid 100,000VND ($5) last time so I am pretty sure he wedged this one out as a business venture. That is 2 in 1 week! 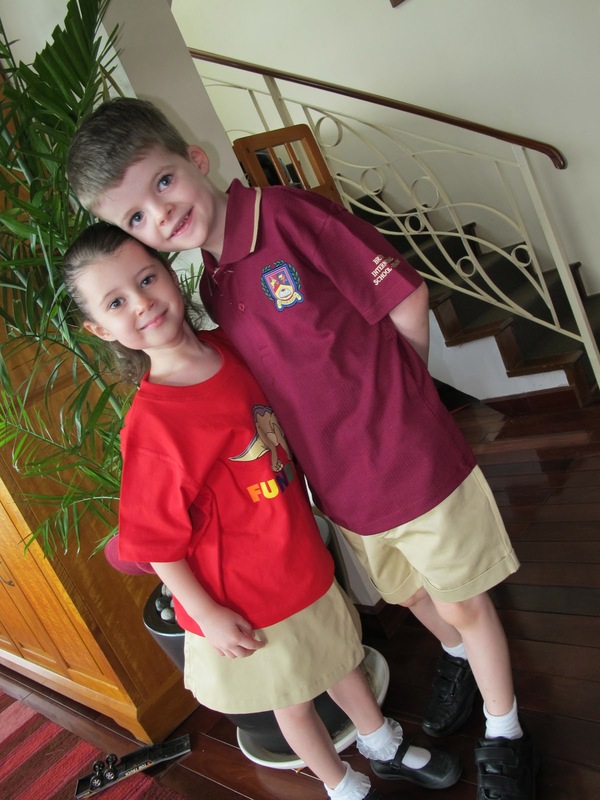 Scarlett has taken it all in her stride and is enjoying FS3 which is prep in Australia. Her bag is bigger than her. It's quite bizarre starting the school year in August. I had a little tear this morning as I watched him lead her through the "big" playground. He is really looking out for her until she finds her feet. 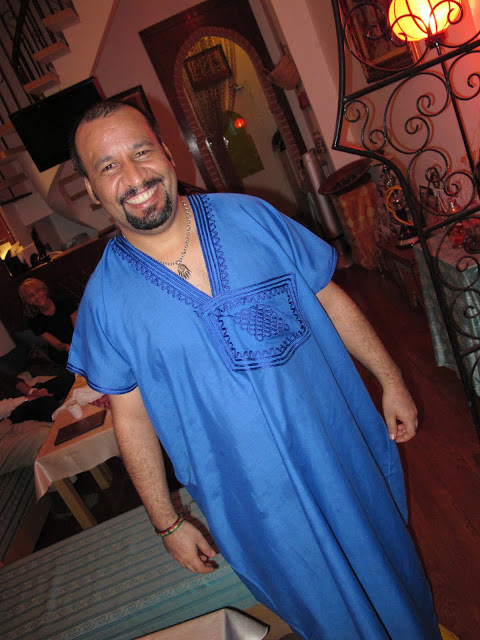 We may live half a world away from Casablanca but we can now enjoy the delights of Moroccan food right on our doorstep. Well, not quite on our door step but not too far away in District 10. I was lucky enough to have dined here the other night and we were all blown away by how delicious the food was. There was a large group of us so we had a set menu that was pretty much everything available. The prices are good and the flavours were out of this world. I can honestly say the spices, tastes and combinations were like nothing I had ever tried before. The owner was kind enough to let us all bring our own wine but he did have very reasonably priced wine on the menu. As I said the menu (and the restaurant) are small but what they do they do well. We will definitely return. Zaalouk. Eggplant, olive oil and cumin. mmmm fresh home made bread. Beautiful savoury pigeon. Some may not like the thought of it but I tell you, you gotta try it before you write it off. They were seriously good. Spicy sausage with vegetables hiding a steaming mountain of cous cous. We wouldn't be in Morocco without the mint tea. Ok, I KNOW we are not in Morocco. Lets not spit hairs. Try telling HIM we are not in Casablanca! The delightful owner who's name escapes me. 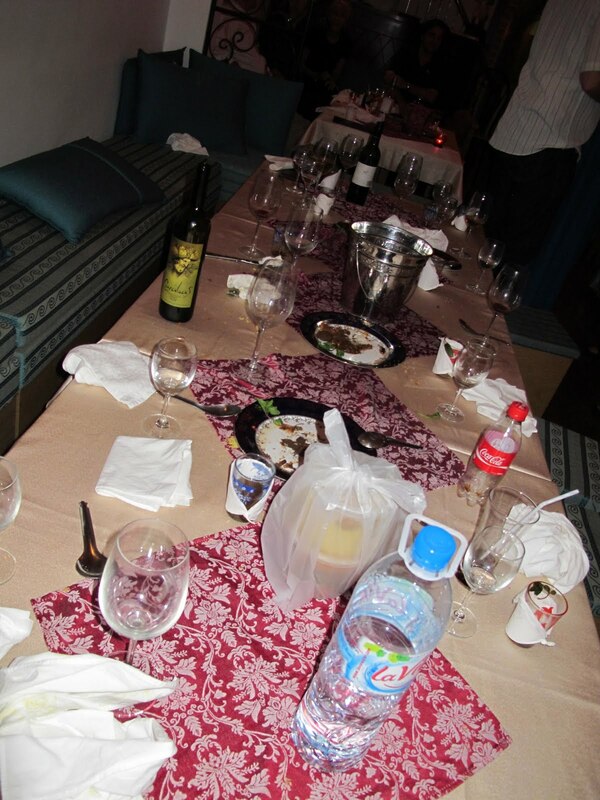 I was too full of food and wine at the time of introduction. KOTO stands for Know One, Teach One. It is founded on the belief that if you’re in a position where you can help someone less fortunate, then you should help them.The greatest thanks you can receive is to one day see that person be in a position to do the same for someone else. KOTO staff experience this everyday as they see trainees grow from timid, shy teenagers into young adults who are not only sought after as hospitality professionals, but also well-rounded, responsible community-minded citizens ready to embrace the challenges that lie ahead. 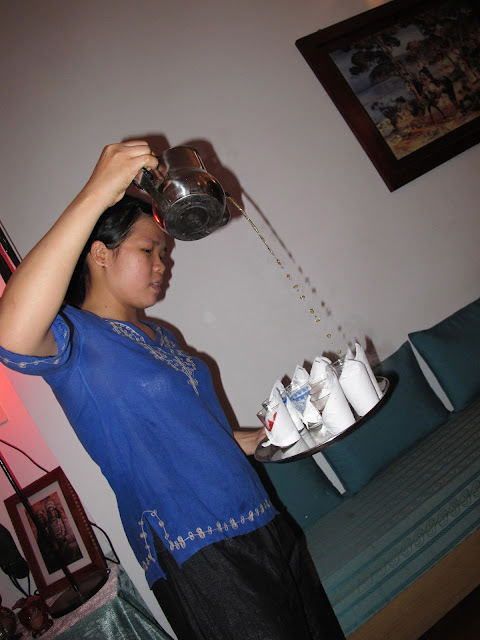 KOTO Hanoi was founded in 2000 by Australian Jimmy Pham. So who is Jimmy Pham and how does KOTO work? He was born in Ho Chi Minh city just before the fall of Saigon and returned to Vietnam in 1996 aged 23. It was his first proper visit since his family fled the country when he was 2 years old. Already shocked by the number of young homeless, a chance meeting with 4 street kids changed everything for Pham, who had been working as a travel agent in Melbourne. He spent 2 weeks with the 13 and 14 year olds, watching them carry coconuts for a dollar a day before sleeping in the riverbanks, living from hand to mouth. He knew he need to help. He asked them what they wanted out of life. They simply replied, "we need skills so we can find stable jobs" and so the concept of KOTO was born. He opened the original KOTO in Hanoi, taking the kids off the streets and providing them with the skills they could use to change their lives. In just five years, KOTO has grown from a small sandwich shop in Hanoi to a 120-seat restaurant and an internationally accredited hospitality program that gives some very special young people the start in life that everyone deserves. The young people in the KOTO program study hospitality skills and English, and take part in an essential life skills program. They gain practical skills working at the KOTO restaurant. KOTO graduates complete the program as confident and capable young adults who are able to take control of their own lives. They are highly valued by the hospitality industry in Vietnam and many now work in top hotels and restaurants around the world, including Australia. KOTO trainees are all aged between 16 and 22 and are selected for the program based on their life situation. They must also have the capacity to undertake training and work in the hospitality industry, and be committed to KOTO's philosophy. After being accepted into KOTO, trainees are given vaccinations and health checks, they are provided with uniforms, laundry, accommodation in group houses, lunch every day and ongoing health care. The trainees are paid an allowance, which enables them to focus on their studies, save a little for the future and provide some financial support to their families. In January 2010 KOTO opened a new training centre, KOTO Saigon in Ho Chi Minh City. It is pleasing to see these founding philosophies so prominent in the hearts, minds and actions of the new team of staff and trainees. Saigons trainees come from rural areas which include Danang, Lam Dong, Phan Thiet and the Mekong Delta regions, from central to southern Vietnam as well local orphanages and from the streets of Ho Chi Minh City. They are in the process of renovating the new restaurant and are accepting donations with their "Buy a Brick, Build a Dream" campaign. You can become part of the KOTO Saigon foundations by buying a brick now and having your name featured at the restaurant, forever. For $100, your brick, inscribed with your name, will be part of the KOTO Saigon restaurant’s “Brick Wall”, and be regarded as an acknowledgement of those who supported KOTO Saigon restaurant in its founding days. The Moggys are proud to be part of the wall! If you would like to donate you can do it online at http://koto.com.au/buy-a-brick-build-a-dream. If you don't live here let me know and I will happily go and take a photo of your brick once the restaurant opens and send it to you! All donations over $2.00 to KOTO are tax deductible for Australian taxpayers. It astounds me (and makes me laugh) that this made it all the way through the design phase, followed by the approval phase, printing then hanging it up in one of the major shopping centres (Parkson). God bless them it was in the kids dept advertising going back to school. There is a lesson there people. An oasis amongst the chaos. Here are a few photos of my dirty little secret. Life here is chaotic both within the family and of course out amongst it all. Sometimes it's nice to get away. Usually you have to book a ticket to go somewhere if you really want to relax. Mui Ne, Hoi An...somewhere that is not Saigon. Lucky for me I have found an oasis amongst the madness in District 3! I was fortunate enough to have been given some vouchers for my birthday to this amazing French Day Spa. Yes it is pricey for Saigon but you know what.....sometimes you just need to bite the bullet and enjoy it. It's cheaper than an airline ticket. So the vouchers are gone but I now have a place to retreat too when it all gets too much. I have left out the photos of me covered in a chocolate mud body wrap for obvious reasons. Yes, it was an unbelievable treatment (and yes, when she was not looking I licked my shoulder!) Average 75 minute treatment i.e. a body scrub and wrap is about $40. Go on...you know you deserve it! Here is where you will find L'Apothiquaire. No doubt some of you would have heard the name before. Their products are just divine. The moment you step off the street into the long driveway you can already feel yourself starting to relax. Hard to believe you are mere steps away from a major road. Stunning old converted French villa. With any treatment you get free use of the pool, steam and sauna. Ah, sometimes it's the little things. I had the absolute honour to attend the Vietnam Veterans Day Memorial Service at Long Tan yesterday. For those who may need a refresher of the details, it was 45 years yesterday since that pivotal battle took place. 18 August 1966 saw the action of 108 ANZACS against a Viet Cong (North Vietnamese) force estimated between 1,500 and 2,500. The Battle was one of the heaviest conflicts of the Vietnam War as well as one the few battles in the recorded history of the world to be won against such odds.There were 17 Australians and one New Zealander killed - 17 from D Company and one from the 1st Armoured Personnel Carrier Squadron - and 21 wounded. The Viet Cong insurgents left 245 dead and many more wounded. In later years, it was found out that D Company had run into a reinforced regimental force waiting to attack Nui Dat. 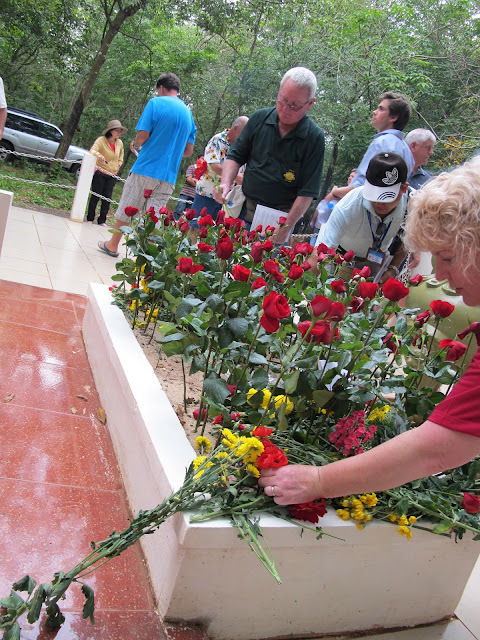 Vietnam Veterans' Day, celebrated in Australia on 18 August each year, commemorates the Battle of Long Tan and those Australians who served during the Vietnam War and is an opportunity to remember those who did not come home. A 500 strong crowd gathered at 3.30pm yesterday in that muddy rubber plantation. It was not only a time to remember our fallen but to also remember the many millions of Vietnamese who died in the struggle for full independence in their homeland. 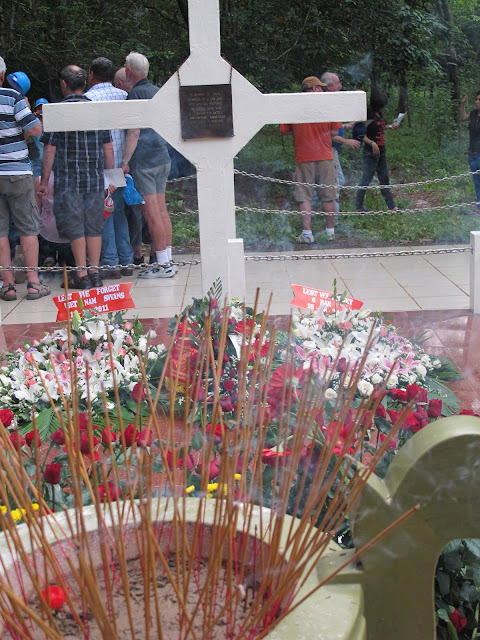 The Long Tan cross marks the site of the battle. A cross was first erected on the site in 1969 when the 6th Battalion RAR were on their second tour of duty. The original cross disappeared after the war. The cross now standing is a replica which was erected in 2002 by representatives of the Australian Veteran Vietnam Reconstruction group wit the consent of the local Authorities. I actually struggle to find the words to describe how it felt to be there yesterday. If I was completely honest I would have to say I felt a little like an intruder. As I stood there amongst the diggers whose emotions threatened to betray their stoic faces, I can honestly say I have never felt more humbled. They came in all shapes and sizes and all with their own stories and demons. They stood tall and proud. After the Last Post, a minutes silence and Reveille, I watched as some pretended to scratch their noses and snuck in a quick wipe of a tear. I watched as they lay wreaths, then stood in silence, remembering God only knows what. I watched as it become too much for some..... the reality of war sinking home to me deeper every moment. It is easy to think that War is just a word, but for these guys, it is their reality, every day. It has, for better or worse, made them who they are today. Even though I had come with the best intentions to pay my respects, I could not help but feel I had stumbled upon something very personal and private. It is only fitting that during the minutes silence, the thunder rolled in the distance. The waft of incense filled the air. Tears slid in silence. Roses and poppys clutched tightly. Remembering. It was a truly unique experience. The track leading through the rubber plantation where the Long Tan Memorial Cross lay. 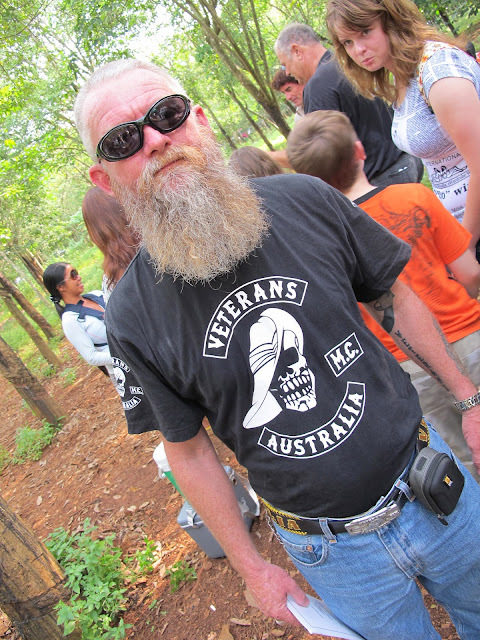 Breaker served in Vietnam with 6 RAR on their first tour and like many veterans never wanted to return. It took thirty-eight years for him to finally decide to come back and he is glad that he did. Breaker now has a Vietnamese wife and has inherited two teenage daughters. All of his wife's family were VC during the war, but there are no problems and he is readilly accepted as brother No 6. From the left: Australian Consul General Mr Graeme Swift, New Zealand Defence Attaché, Captain Brett Fotheringham RNZN, New Zealand consul General, Mr Graeme Sims, Australian Ambassador, His Excellency Mr Allaster Cox and Australian Defence Attaché Group Captain Matthew Dudley. A group of our friends from across the ditch. The guy in the hat on the right was there 45 years ago as a NZ war correspondent.